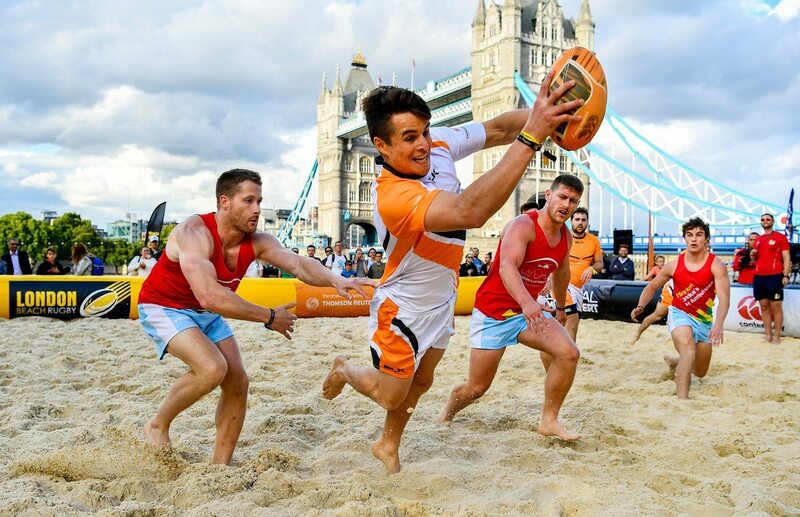 Off the back of our success with the beach volley ball installation in Canary Wharf, event company City Sports Management got in touch with Bourne Sport regarding a similar installation of two temporary beach rugby pitches in Finsbury Square. Due to the presence of an underground car park beneath the site we were restricted to a 2 tonne weight limit on the area and therefore had to cordon off a busy side road in order to tip the 20 tonne loads of sand. City Sports selected the finer graded washed RH65 sand, which would offer more support to the players on impact. We delivered approximately 240 tonnes of sand into site, much to the amazement of the city traders whose grassy lunch spot had been taken over by 4 Bobcats, 12 tipper trucks and a lot of sand. The build and clean up went without incident and once again demonstrated our ability to adapt to a new environment, and offer the client a hassle free solution to a potentially hazardous installation. We delivered the same service for City Sports Management at Finsbury Square again in 2016. 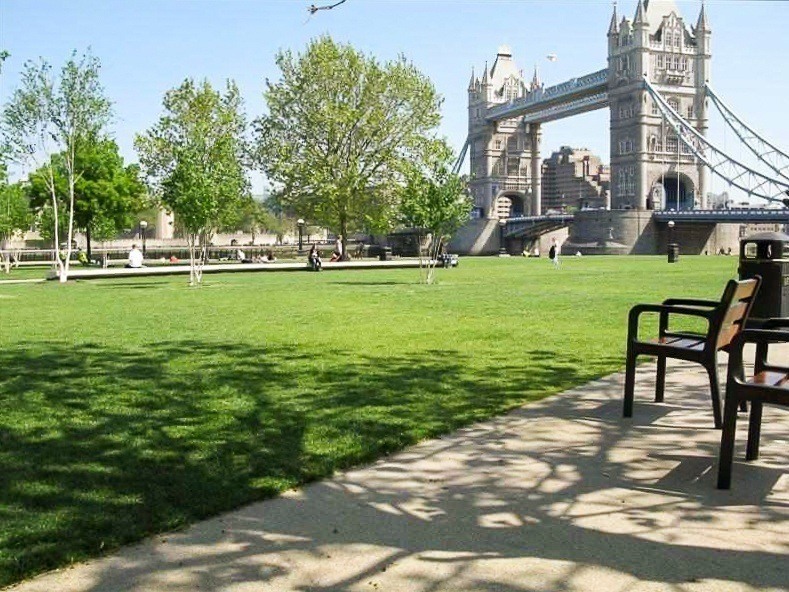 In 2017 the event was moved to Potters Field Park and the dramatic backdrop of Tower Bridge. More logistical challenges presented themselves, alongside a much higher level of security considerations. Again, the event went smoothly and we look forward to next year's challenge. "The Bourne team have been fantastic to work with over the past 5 years. We have worked on some really challenging projects and venues, and Jonathan and the team constantly come up with excellent solutions. The Bourne technique then put the solutions into practice and execute very professionally."